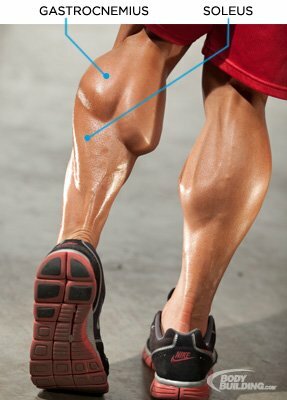 King Movements For Kong Calves: Success With Cardio & Weights! Calves often are an afterthought in many people's programs because of the fact they are a much smaller muscle group and not noticed. Blast them with the following tips and exercises! After you've built the base of your workout, throwing together exercises that are going to target the major muscle groups in the body including the chest, back, legs, and shoulders, one muscle group you want to make sure you don't forget is the calves. Calves often are an afterthought in many people's programs because they are a much smaller muscle group and not one that a lot of people take notice of. Despite this fact, it's still important to perform regular strength building moves for this muscle group as this muscle is important for stability, as well as to act as a synergistic muscle in many of the movements you perform, both in the gym and out. Here are the primary things you should be doing to put a strong focus on the calves and get some great results with regard to both strength and size. If there's one type of cardio training that is really going to do a number on your calves, skipping is it. Any type of up and down jumping movement is going to work this muscle as they are what will help propel the body into the air with each jump you take. Since there isn't a great deal of knee bend while skipping, this will take the emphasis of muscular force development off the quads, and place it largely on those calf muscles. Alternate between skipping variations to give more variety to the workout, increase the cardiovascular system gains you experience as well as burn calories at an accelerated rate. Try one foot skips, double skips, moving skips (move in the forward or backward direction) or doubling the pace of your skips. If skipping is not your cup of tea, or you have specific injuries that will prevent you from skipping, another alternative you can use is uphill walking. Uphill walking will also stimulate the quads and glutes to a greater extent as well, making it a terrific option for those who are looking to work this muscle group as well. The higher the incline you are able to put it on, the greater the emphases on the glutes and quads though, so keep that in mind. 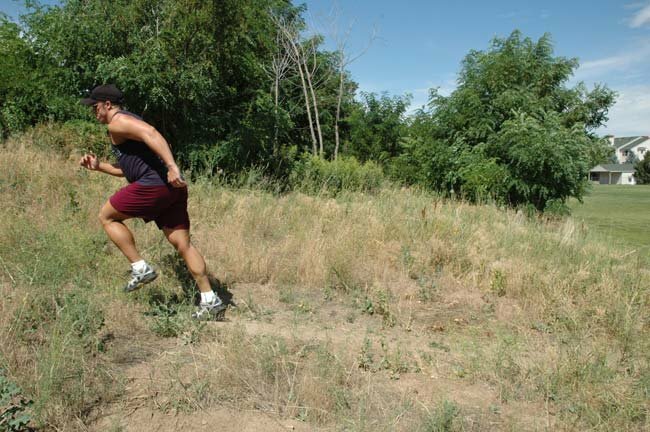 A moderate incline at a faster pace would be a slightly better option if you're really looking to target the calves maximally. 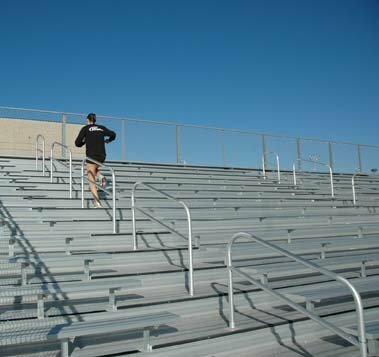 Finally, the last cardio option you can do to target your calves more than traditional cardio activities such as biking, using the elliptical, or running, is stadium stairs. Again, similar to that of skipping, the calves are going to be working really hard in this situation to propel the body upwards to reach each step. To avoid injuries though, use steps that don't have too much of a rise making it easier for you to make it to each one using only one leg. After you've got the cardio aspect planned out to work your calves, then comes your weight training. Weight training is what will really build sheer strength in the calves, as it's what will help to apply the greatest overloading stimulus to the muscles. To fully maximize each calf raise exercise you perform, what you want to do is pause briefly at the top of the movement, while holding the muscle contraction. This will really stimulate the muscle fibers to a higher extent, creating a greater overloading stimulus and sparking the muscles into growth. Also, try not to rush through your calf raises, as the slower you go the less you will rely on momentum to carry you through the exercise, which will definitely take away from the benefits you get from doing the exercise. 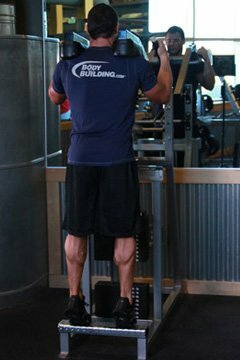 This technique can be applied to pretty much all the variations of calf raises you do, so that's something to always keep in the back of your mind. To hit the calves from slightly different angles, what you will want to do is turn the feet in slightly or outward slightly to work one side of the calf in particular. Be sure when doing this you maintain a neutral position with the spine however, as you don't want to be placing additional stress on the back due to poor alignment. Finally, you should also remember to keep seated calf raises in your program as well since these also place a slightly different loading pattern on the muscle and will stimulate the muscle from a different angle than the typical standing calf raises do. So, keep these points in mind as you design your calf workout. Ideally you want to work calves 2-3 times per week (twice a week on lower/upper splits, three times on full-body workouts), performing 3-to-6 sets per session. Also note that contrary to what some people think, you do not need to do 20-plus reps per set of calves. Just like any other muscle group in the body, using the lower rep range but making sure the weight is heavy and you're using proper form will be much more effective than high reps at a lighter weight for strength and size building.